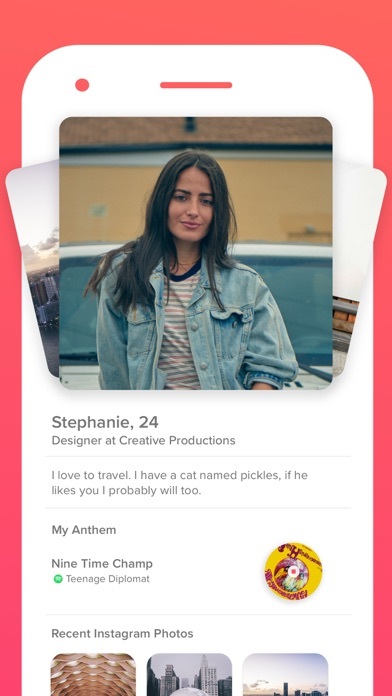 IOS App Developer: Tinder Inc.
Yardy know tinder is an efficient way to meet people but what i’d like to know is why i can’t put my spotify on tinder bc i have an iphone x max. I need to show the ladies my exceptional music taste but I can’t bc tinder is ugly on my phone. this app crashes and freezes my phone constantly. it kind find people. and it also crashes background apps. 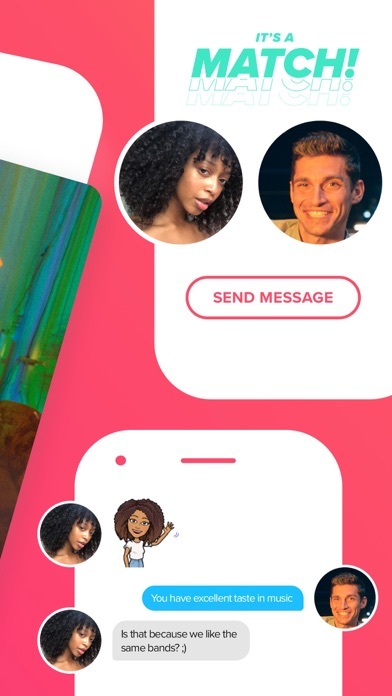 this app is literally a waste of space on your phone. I like the idea of being able to see your likes. I think for females or males that get a lot likes, it’s extremely frustrating to have to scroll all the way through to see variety. Would it be possible to add a shuffle feature for your likes? 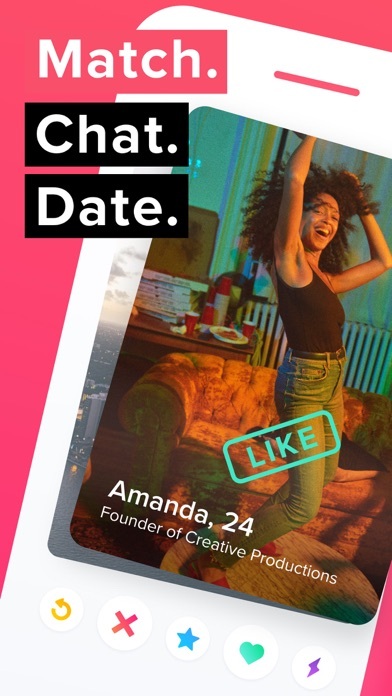 Ignoring all the pros and cons of tinder as a service, the app updates and attempts to force engagement / advertising have really turned tinder into an annoyance. Ads now override any music you may be playing, potentially to push towards their premium account but mostly just a bad experience. New matches and message notifications don’t clear well often requiring another visit to the app. 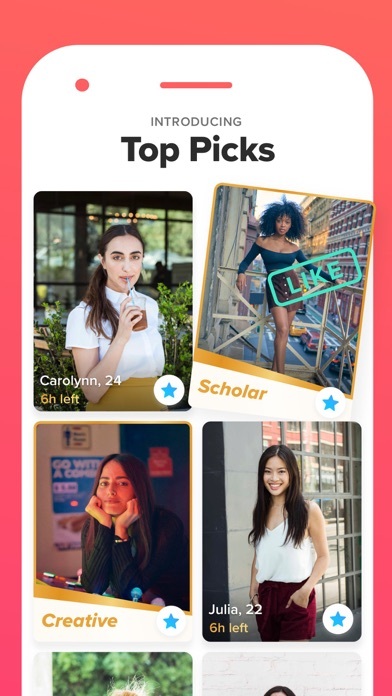 Last but certainly not least, profiles that have matched outside your 100 mile radius and age range never seem to go away inflating their counts. Still fun but come on developers. I have over 7000 photos on my phone. I just went through and duplicated all the good pics of me from them so they would be at the front of my photo album, logged onto tinder, no new photos. Since they wouldn't show up, I emailed them all to myself and 1 by 1 saved each one to my photo library. Just went back through and only 5 out of 22 appear on Tinder.. so basically my phone shows all these photos I have but tinder doesn't recognize them at all... Really cool. I guess to upload them ill need to scroll up 4000-7000 photos just to find the one of me that I originally took months ago, and then repeat that 9 times to upload them all.. If I could give it 0 stars I would. No one has liked me back. 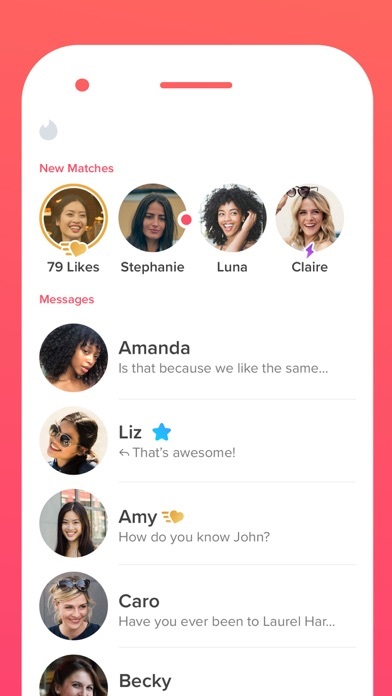 More IOS Apps by Tinder Inc.